Kings’s messenger, “are”. Shaki. Photo by William Fagg, 1959. William Fagg took the above portrait in Shaki, the most Northern city of the Yoruba region, in 1959. Along with Ife, Oshogbo and Ede, Shaki is one of the oldest Yoruba settlements, having been founded in the 15th century by the legendary Yoruba king Ofiran. 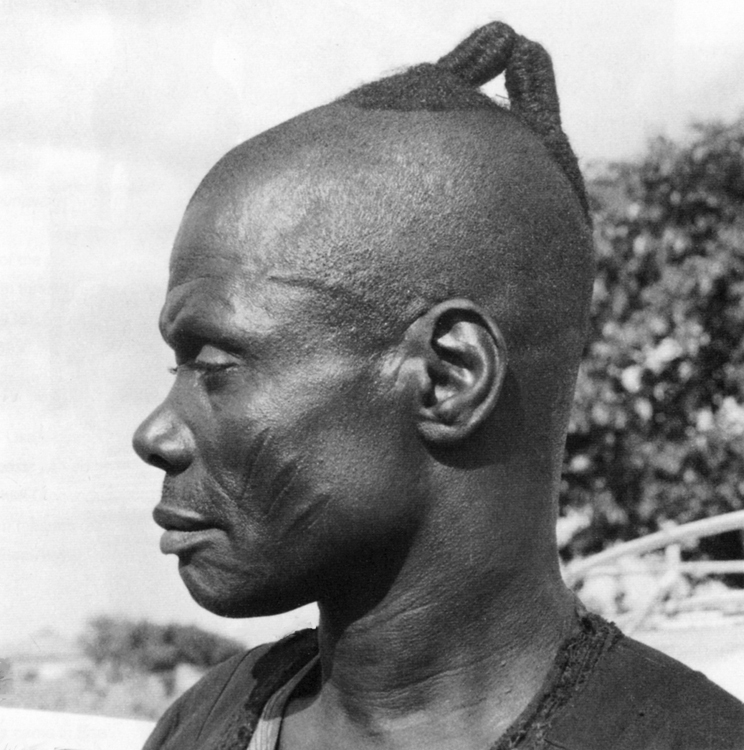 Next to the clear presence of the three typical lineage scarifications (ila) on the man’s cheeks, is the special hair-do, made up of two rising hair braids connected at the top. 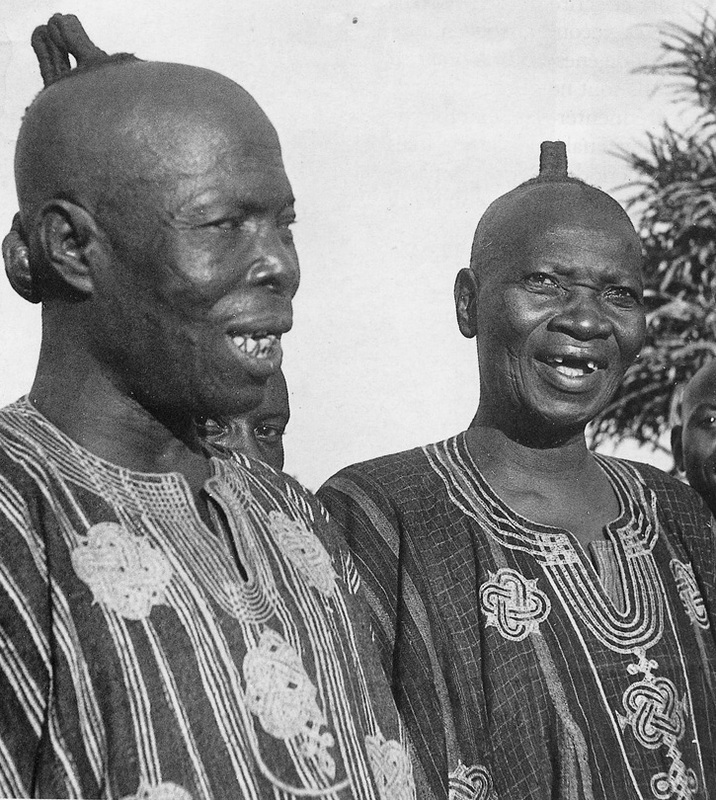 Among the Yoruba, persons with privileged roles, such as a king’s messenger (are or ilari) had their heads shaved. The remaining hair was fashioned in a distinctive way in order to identify the person’s powerful position. 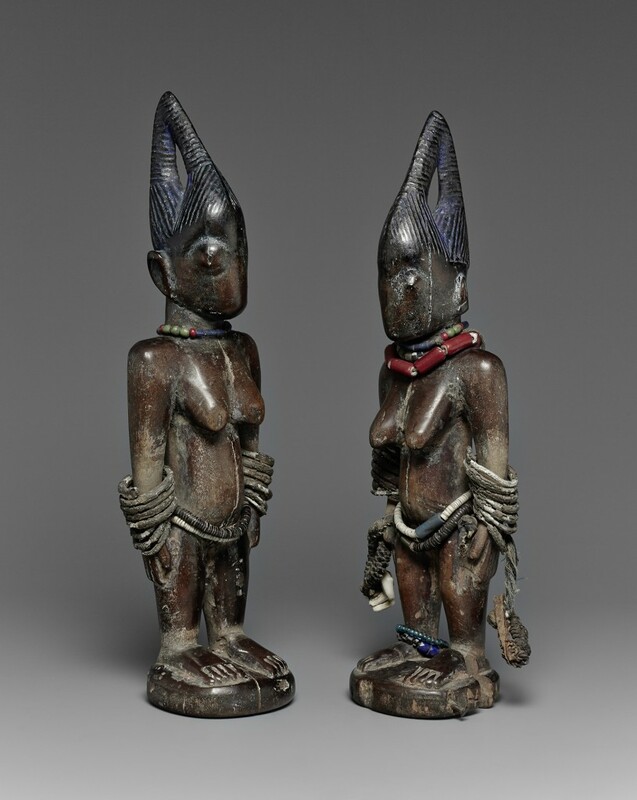 One of my favorite pair of ere ibeji in the Lempertz sale earlier this week was a pair originating from Shaki. As the messenger on the field-photo above, the coiffure consists of two tall plaits joined at the tips. This hairstyle thus did not spring from the artist’s imagination, but was a realistic representation of an existing hairdo. A pair of female ere ibeji. Shaki, Nigeria. Height: 29 cm. Image courtesy of Lempertz. Note how the hair is dyed blue. The Yoruba considered blue a ‘cool’ color, thus here acting symbolically to ‘cool’ the head (and so, too the mind and temper) of the ibeji. The light-blue indigo, initially used on the figure’s coiffure, however, inevitably dulled over time, and often only traces remained visible. 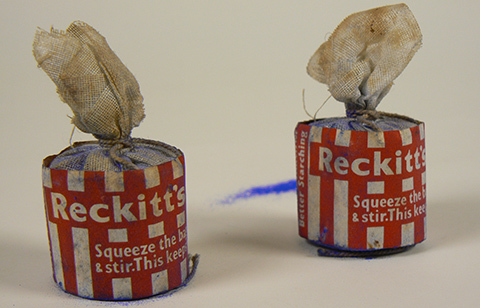 A more effective alternative to indigo came in the middle of the 19th century, namely Reckitt’s Blue. This was a domestic bleaching agent containing ultramarine, originally manufactured by Reckitt & Sons in England from 1840, and primarily sold as a textile whitener – although the Yoruba thus found a better use for it. Image courtesy of the National Museum of Australia – photo by Kipley Nink. UPDATE: Elio Revera send me the below field-photo of two royal messengers in Ilari (Oyo), taken by Pierre Verger around 1950. 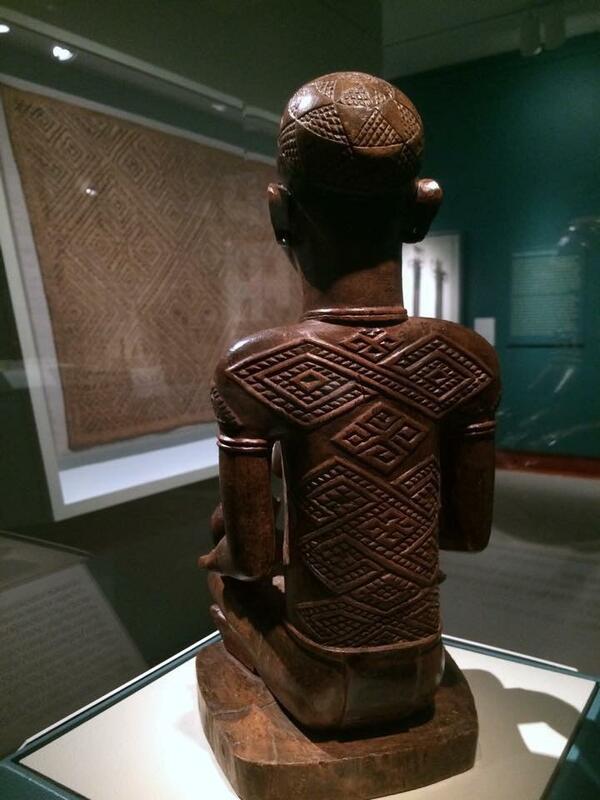 This entry was posted in Objects and tagged Yoruba on January 29, 2015 by admin. My apologies for the radio silence on the blog these last days. I was occupied with all the events in Brussels. 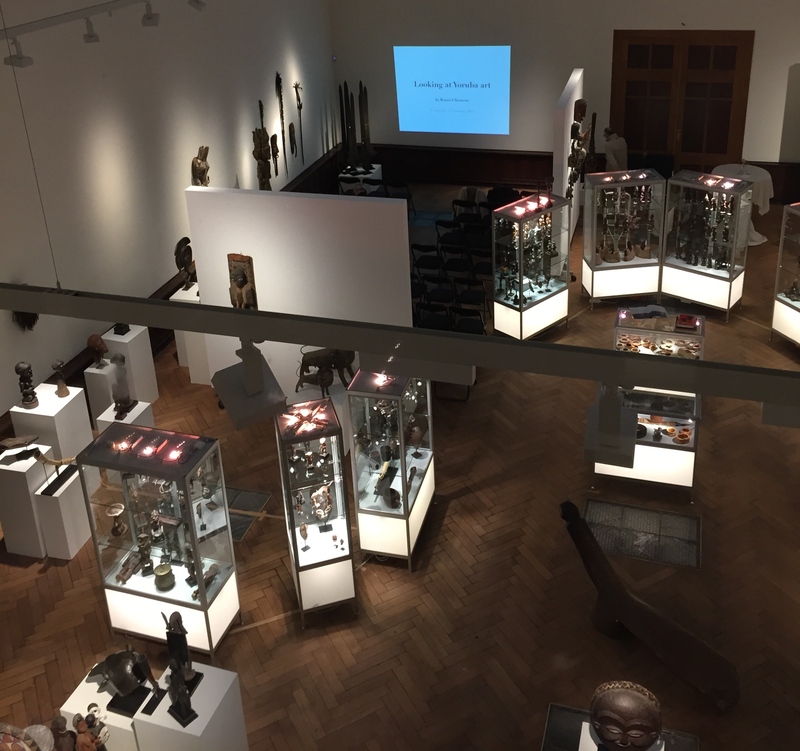 I started Wednesday evening with a lecture, called Looking at Yoruba art at Lempertz – they are after all offering a lot of Yoruba art in their upcoming sale..
On Thursday, there was the opening of BRAFA, this year featuring 8 dealers specialized in African art – establishing its position as a must-visit fair. 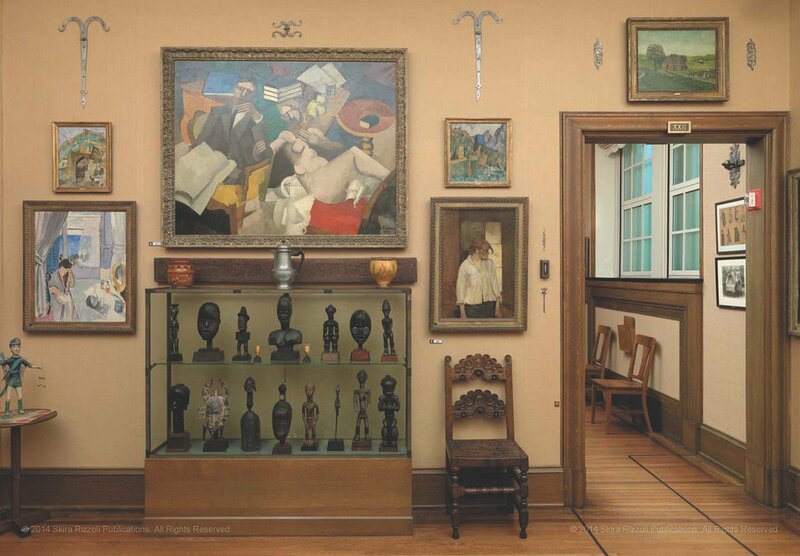 As the cherry on top, there was a small but wonderful exhibition, called The Belgian Collector, curated by the King Baudouin Foundation, that highlighted exceptional works of art from various Belgian private collections. It had a small, but exquisite group of ivory Lega figures and, a wonderful surprise, the Lengola figure from the Willy Mestach collection – probably the best of its kind. At the same time the Winter edition of Bruneaf was happening, with 28 participants this year and a huge amount of art on view. I’m still wondering about the origin of this enigmatic pole on show at Oliver Larroque..
Ishan came to mind, some suggested Goemai (also in Nigeria) and Burkina Faso or Togo were also proposed. 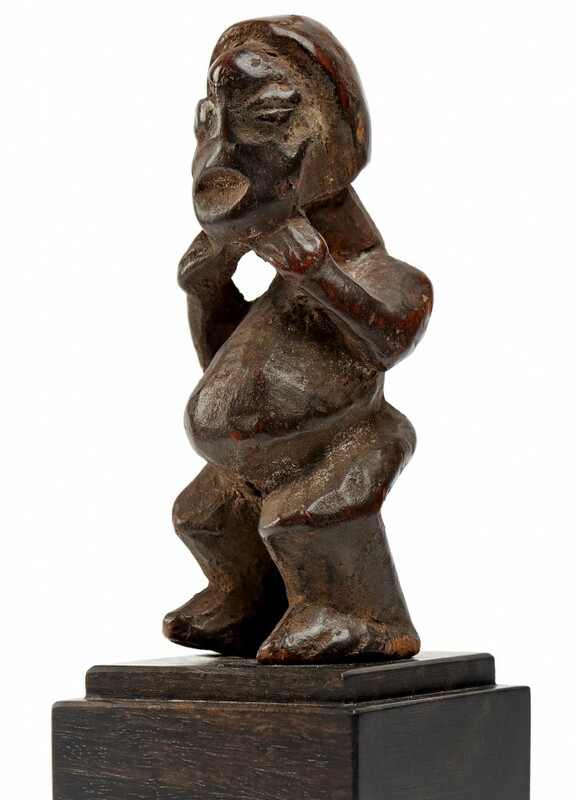 On Saturday there was the Native auction, where a small Bamileke mu po figure, my favorite object in the sale, sold for € 9,300 (including premium) – a very good price for such a powerful miniature. Tomorrow brings the Lempertz sale and then the circus moves to San Francisco for the Tribal & Textile Arts Show and the opening of Embodiments (featuring the Scheller collection) at the Fine Arts Museum (info). 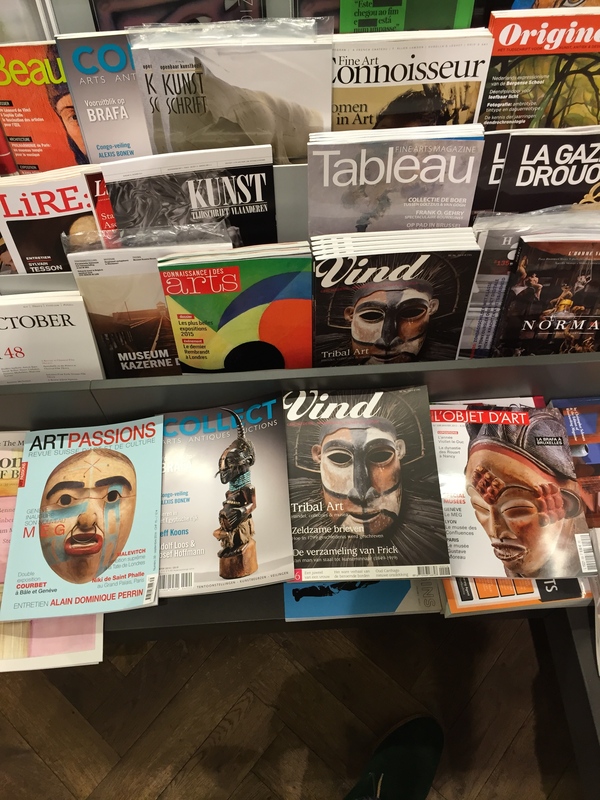 In the meantime, I was amazed how much African art I found highlighted on magazine covers when visiting the local magazine shop.. 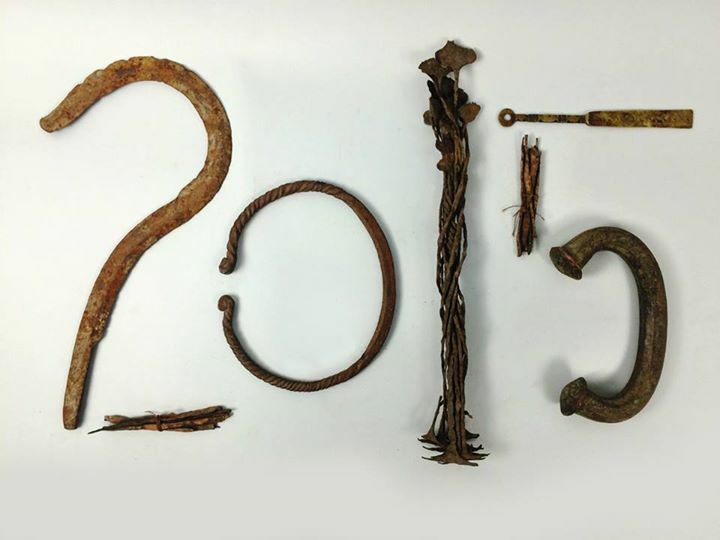 I have the feeling that 2015 will be a great year for African art; it definitely started off on the right foot ! This entry was posted in News and tagged Lengola on January 26, 2015 by admin. 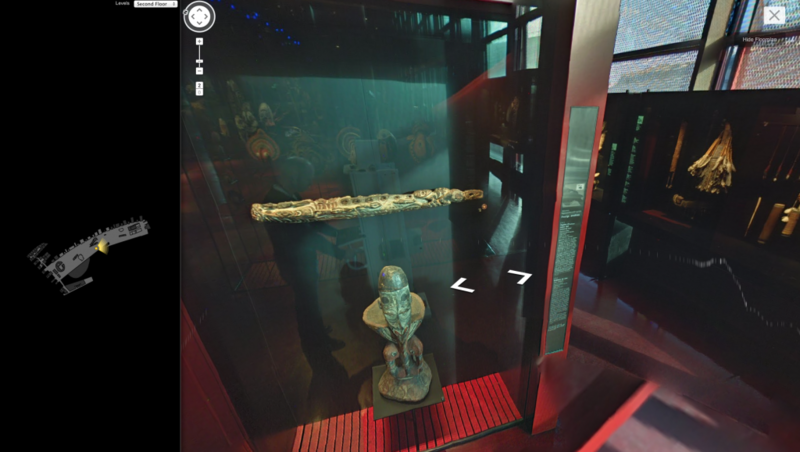 Thanks to Google’s StreetView technology & the Google Cultural Institute, you can now walk around the Musée du quai Branly at home. 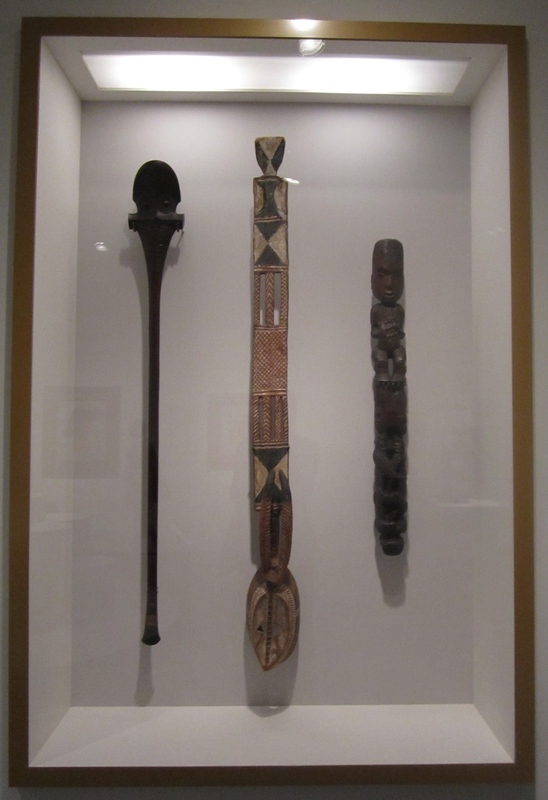 Discover the presentation of their collection of arts of Oceania in a click here (Africa, Asia, and the Americas are not (yet?) available). 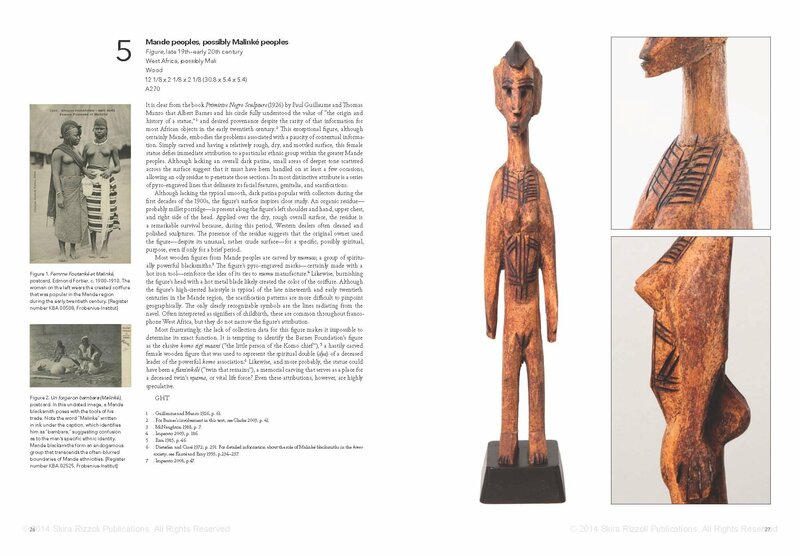 More content, such as pictures and information on the Sacred Wood exhibition, are available here. UPDATE: the Museum just informed me that the picture were taken late 2011 and some displays might have changed since. This entry was posted in Museum, News on January 14, 2015 by admin. I love this idea, London’s Dulwich Picture Gallery has commissioned a replica of one of its paintings from a Chinese studio which churns out masterpieces from any period and style. It will be hung in the genuine frame alongside the gallery’s collection of Old Master paintings this spring. The public and art experts will then be invited to spot the fake, which will hang in place of the original in Dulwich’s permanent display of 270 works. Read more about the story here. Dulwich, the world’s oldest purpose-built public gallery, with works by Rembrandt, Rubens, Tiepolo, Murillo and Poussin, is giving no hints about the size, date or subject of the painting. For three months the identity of the work will remain concealed. Doug Fishbone, the conceptual artist that came up with the idea, states: “It’s not just a ‘Hey, spot the fake’ stunt – it raises serious issues of how we view, appreciate and value art.” You can be certain everybody will be looking extra closely at their paintings; and if you can motivate people to do so just by hanging one ‘fake’, I’m all for it. 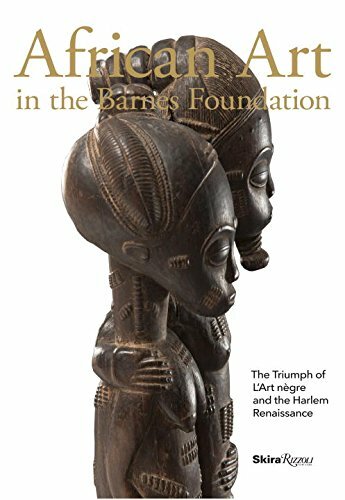 Unfortunately the discussion on ‘fakes’ in African art is so loaded, that I don’t see anybody coming up with something similar in our niche. 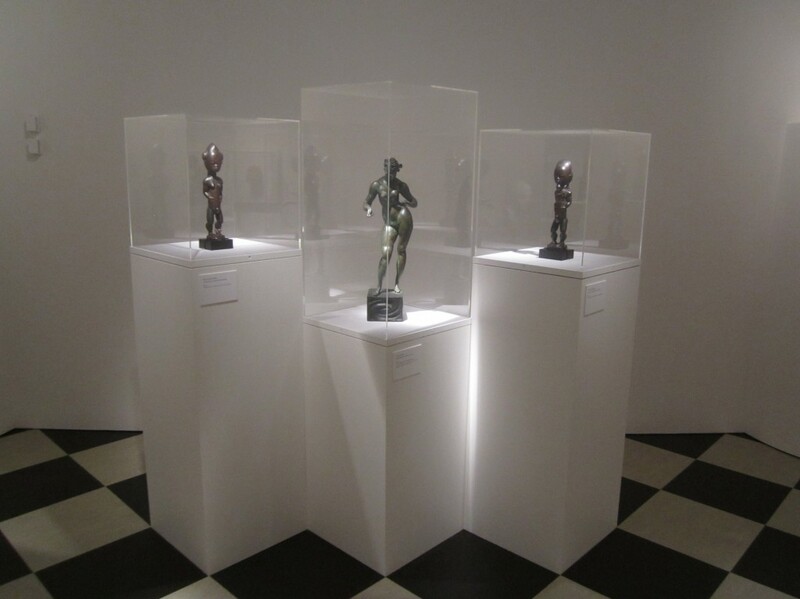 … showed not only the objects that were the pride of the collector, but the works that had been passed over as mediocre, altered, restored, or forged. A case full of Baule masks had a label stating: “CAUTION: THERE ARE FAKES IN THIS CASE”. The exhibition invited the viewer to look closely and form his or her own opinion before reading the label that revealed my opinion. Labels were personal, opinionated, and informal in tone rather than didactic. This exhibition was intended to encourage careful looking and did not attempt to teach connoisseurship. This entry was posted in Museums, News on January 13, 2015 by admin. 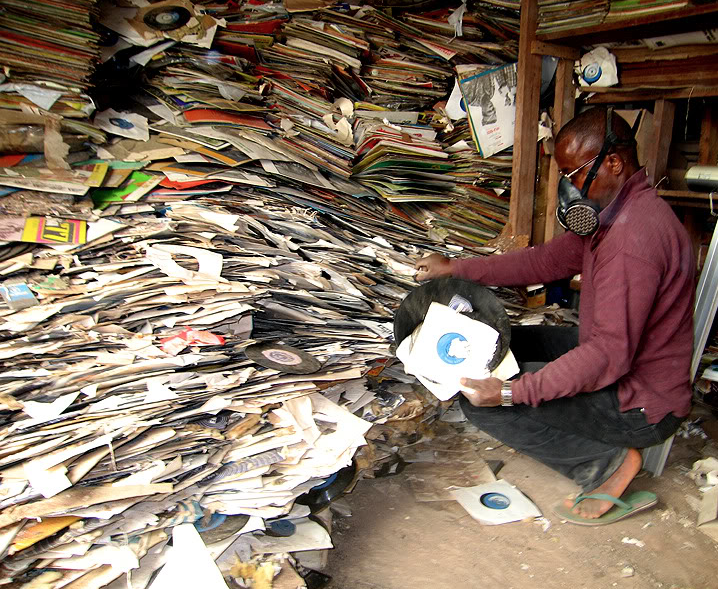 A warehouse full of records in Enugu, Nigeria. Image courtesy of Voodoofunk. In case you are – as me – interested in African music from the 60s and 70s, Voodoofunk is a great blog which documents the travels of a vinyl junkie through West Africa on his hunt for records. One time in Benin he went to see a local diviner to ask for support for his quest, read more about it here and see the short documentary below. I went to see a Vodun priest in a village near Grand Popo in coastal South West Benin where I was invited inside the shrine to bring a sacrifice to the fetish and to ask for support on my quest to find local records. I sacrificed a chicken and Vodun Agbo agreed to give us his support as we were assured by the priest who had consulted the Fa for us: A kola nut was split in four pieces and thrown onto a plate after asking a question to the Vodun. The Vodun then answers with certain different combinations of how the pieces of kola nut come to rest. As a reminder, we left a Poly Rythmo 45 in the shrine. This entry was posted in News on January 11, 2015 by admin. 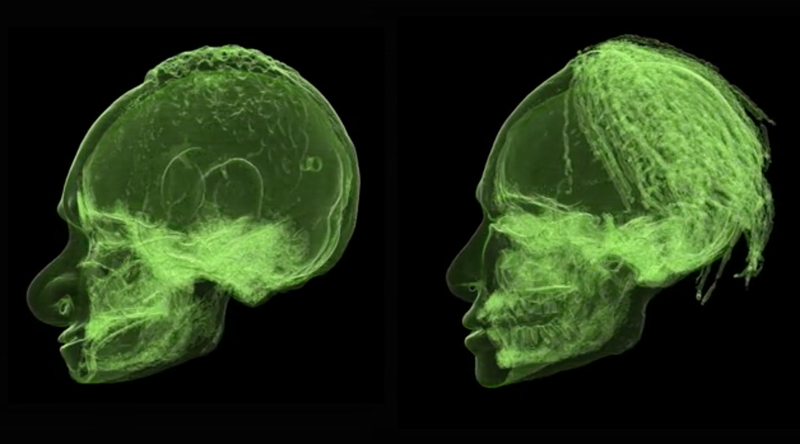 Scantix has made a new interesting CT-scan available on their website; this time two overmodeled Sepik heads from Papua New Guinea were scanned, revealing the skulls underneath the clay, view the results here. The Iatmul people of Papua New Guinea kept the skulls of their ancestors which, once overmodeled with clay and then painted with designs, became protectors of the community. They were used in funerary and fertility ceremonies where they were displayed atop of poles. 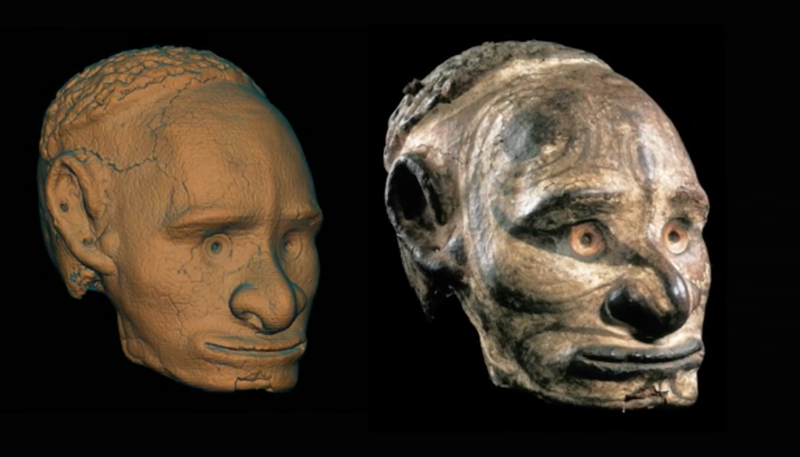 The skull of the dead ancestor was decorated to imitate the facial painting of the deceased. Skulls of headhunting victims were similarly decorated and kept as trophies. This entry was posted in Research on January 6, 2015 by admin. 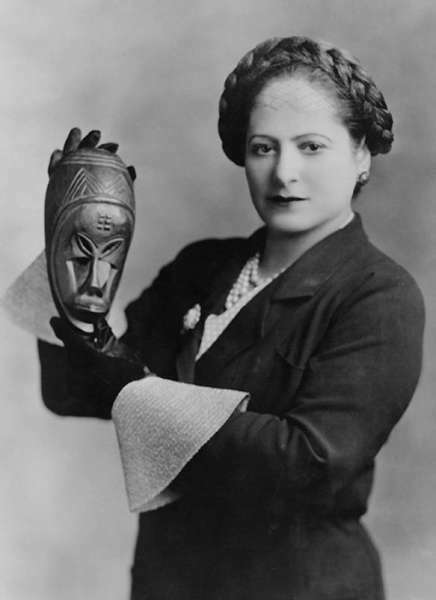 Helena Rubinstein with African mask, c. 1935. Image courtesy of the Helena Rubinstein Foundation archive, Fashion Institute of Technology, State University of New York, Special Collections. Photograph by George Maillard Kesslere. When I was in New York, November last year, I visited the Jewish Museum‘s exhibition Helena Rubinstein: Beauty Is Power. 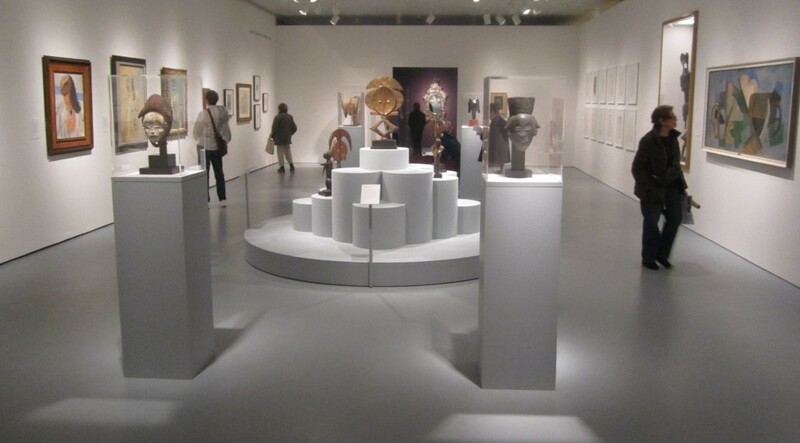 Organized by Mason Klein, who also authored the accompanying catalogue, it focuses on the cosmetics entrepreneur Helena Rubinstein‘s famed art collection. 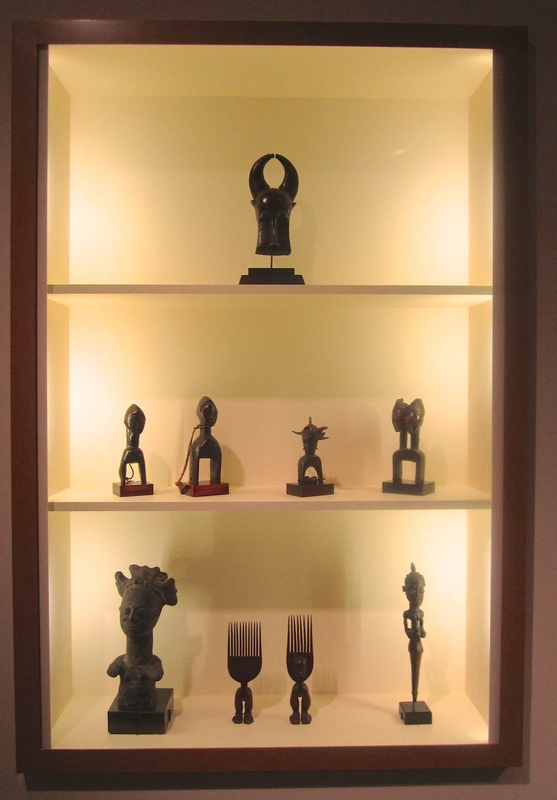 Besides artworks by Picasso, Matisse, and Miró, it includes several objects from her iconic collection of African and Oceanic art. 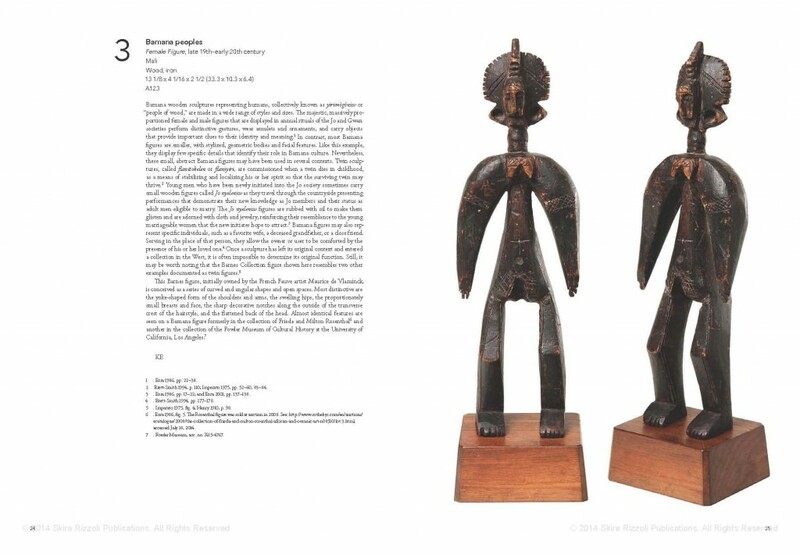 The sale of these objects, at Parke-Bernet Galleries on 21 April 1966, still is considered an important momentum that has driven the market forward and nourished the continued growth and appreciation of African art at the time. Rubinstein still is a cherished provenance and even the auction catalogue itself remains very sought after. Below you can find some (non-professional) snapshots I discretely took during my visit. 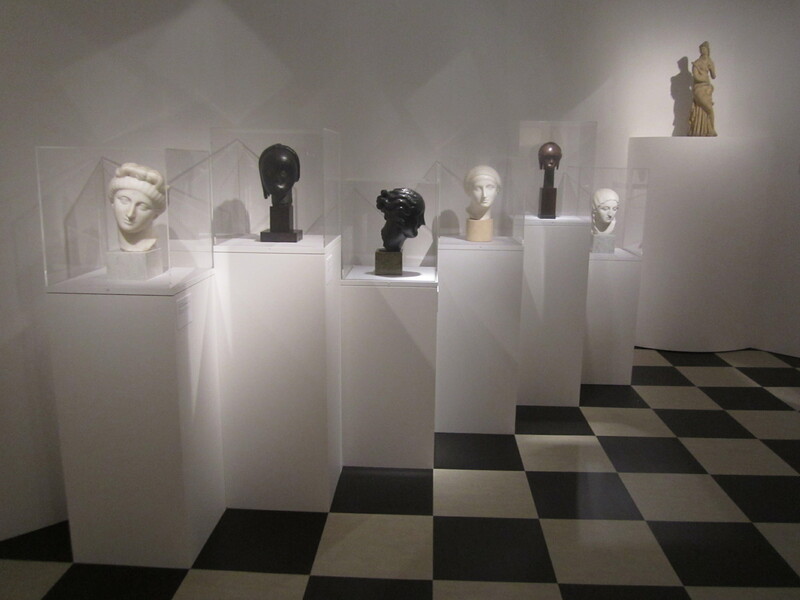 The whole exhibition was a delight and visually stunning by moments – the room with the black and white checkerboard floor for example was put to excellent use: it magnified the stark contrast between the white marble heads from Elie Nadelman and the black Fang heads at eye level. 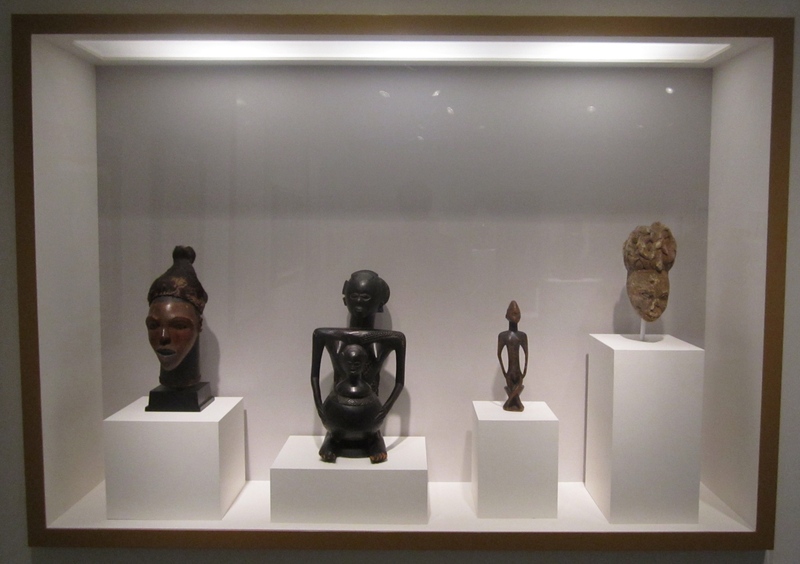 All in all, there were only about 40 African and Oceanic objects – the latter in the minority – but many of them in half a century were able to reach an iconic status, so it was wonderful to see them all reunited. If you are in the neighborhood it is definitely well worth a visit; the exhibition runs until March 22, 2015 (and you can see it in an hour – an hour well-spent that is). This entry was posted in Exhibtions on January 5, 2015 by admin. My favorite book published last year was Claude-Henri Pirat’s Du Fleuve Niger Au Fleuve Congo – Une Aventure Africaine and the strongest exhibition I personally visited was Martin Doustar‘s Golgotha. What are your picks ? Installation view ‘Kongo across the Waters’, image courtesy of Amyas Naegele. This entry was posted in News and tagged Kongo on January 2, 2015 by admin. Traditional currencies from West and Central Africa in copper, brass and iron. Image courtesy of Amyas Naegele. All my best wishes for the new year, may it be filled with magic – and not only African magic ! This entry was posted in News on January 1, 2015 by admin.